shirzad, S., maghsoudi, B., piri, H. (2018). Study of Bio ecological and land cover change of Northern Lands of Khuzestan by Remote Sensing. 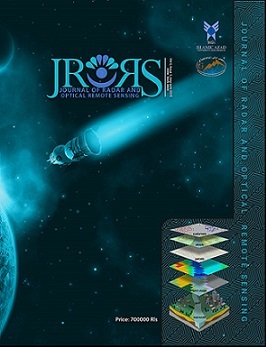 Journal of Radar and Optical Remote Sensing, 1(1), 83-96.
sara shirzad; babak maghsoudi; hamed piri. "Study of Bio ecological and land cover change of Northern Lands of Khuzestan by Remote Sensing". Journal of Radar and Optical Remote Sensing, 1, 1, 2018, 83-96.
shirzad, S., maghsoudi, B., piri, H. (2018). 'Study of Bio ecological and land cover change of Northern Lands of Khuzestan by Remote Sensing', Journal of Radar and Optical Remote Sensing, 1(1), pp. 83-96.
shirzad, S., maghsoudi, B., piri, H. Study of Bio ecological and land cover change of Northern Lands of Khuzestan by Remote Sensing. Journal of Radar and Optical Remote Sensing, 2018; 1(1): 83-96. 2Department of Agronomy, Khorramshahr-khalij fars International Branch, Islamic Azad University,Khorramshahr,Iran.